If you’re looking for a smartphone between Rs 26000 – Rs 30000 with the best features and specifications, you have come to the right place. Choosing a phone at this price range can be tricky because almost all phones are equally good. So it all comes down to the brand value (i.e whether you prefer established brands like Samsung, Sony and HTC or Chinese brands like Xiaomi and Huawei) nearby service centres in your city and also smartphones that do most things right – i.e good camera, less heat, smooth user interface and as few bugs as possible! Here is our list of Best Mobile phones under 30000 rupees. 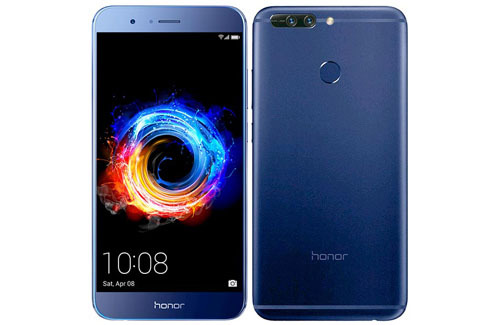 Display: Honor 8 Pro comes in a huge 5.7 inch screen with QDHD screen, display is one of the best in this price segment. It comes with corning gorilla glass3 protection. This IPS LDC display has got the best viewing angels. The only drawback would be the sunlight legibility, the screen cannot be seen clearly under direct sunlight. Build Quality: The phone feels very premium and stylish. Even though it sports a huge display and a big battery. The phone feels very sleek and light. The back comes in a metallic body with curved edges which makes it easy to hold. Fingerprint Sensor : The fingerprint sensor is present on the back, it is super fast, can unlock the phone within seconds. Processor : The phone runs on HiSilicon Kirin 960 with 6GB RAM, the phone feels pretty fast and snappy. The apps get loaded within seconds. There is no lag even with heavy usage. Even the gaming performance with Mali-G71 MP8 is good, any heavy games with maximum setting can be played with ease. Software: Runs on the latest Android Nougat 7.0 with EMUI 5.1. Speaker: The single speaker which is placed at the bottom is loud enough to watch movies or listen to music, unlike its previous phones , Huawei has improve it’s speakers. Camera: Sports a dual rear camera with 12 MP, f/2.2, it also comes with dual tone flash, the pictures taken on the phone come out really good, Although it doesn’t come with optical image stabilisation, the pictures taken come out good. The videos do come out a bit shaky. The front camera takes good selfies too. Battery : The phone comes in a huge 4000 mAh battery that lasts for more than a day with heavy usage. Battery wise it is much better than OnePlus 5. It also supports quick charging which can charge the phone with less than 90 minutes. Features: Supports IR blaster that can operate your TV and AC and also supports NFC which helps to transfer the files with just the touch of the other device. Pricing: At 29000 you can’t get a better phone then this. Optical Image Stabilisation: Doesn’t come with optical image stabilisation which makes the video come out a bit shaky. Indoor Pictures: The pictures taken in indoor lighting condition come out very average. Display: OnePlus 5 hasn’t changed much with its display size, it still sports a 5.5 inch Full HD display with Gorilla glass 5 protection. The quality wise its top notch, its bright and sharp with accurate colours and very good sunlight legibility as well. Build Quality: OnePlus 5 looks very similar to iPhone 7 Plus, the back camera is placed at the side just like iPhone 7 Plus. The round curved edges feels good to hold in hand. Still sports the metallic build similar to that of its predecessor. Fingerprint sensor: The fingerprint is very fast that compared to any android phone, works effectively fast, can unlock your phone with seconds. Processor: It runs on the latest snapdragon 835 chipset with 6 GB RAM, Performance wise its very snappy and fast, can load the apps within seconds. Doesn’t hang up with heavy usage. Software: Runs on the latest Android Nougat 7 with oxygen OS. Gaming Performance : The phone comes with Adreno 540, heavy games can be played with ease. Doesn’t heat up even after heavy gaming. Dual Sim: Its a proper dual sim phone with no micro SD card slot. Speaker: The speakers are present at the bottom of the phone, its a single speaker device. The sound is loud and clear. One of the best single speaker phones. Storage: Comes with only 64GB internal storage, doesn’t have a micro SD card slot. Battery : The 3300 mAh battery can easily for a day with heavy usage. One more advantage about this phone is the dash charger that can charger your phone 0 to 100% in less than 75 minutes. Price : A bit pricey, At Rs 32000 it is a bit pricey, the 128 GB version with 8 GB RAM is priced at Rs 38000 which is expensive as well. Video Quality: The videos tend to come out a bit shaky due to the absence of optical image stabilisation. Display : Comes with 5.5 inch full HD display with corning gorilla glass 3 protection, display quality is good and sharp. 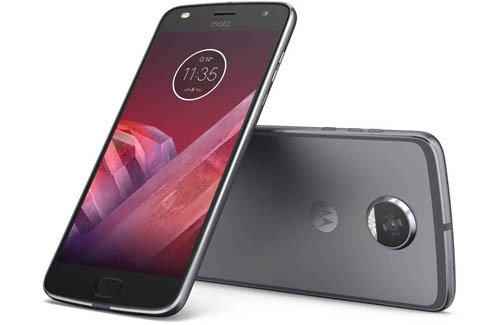 Build Quality : Moto Z2 Play features a metallic back with the curved edges which makes it easier to hold. However the phone tends to be a bit slippery and the camera seems to be protruding from the back which might be a problem for few. Fingerprint Sensor : The fingerprint is present at the front same as the home button. It is as fast as OnePlus 5, unlocks the phone within seconds. It not only unlocks but locks the phone as well. So you need not reach the power button every time. Processor : The phone runs on Snapdragon 626 chipset with 4GB RAM, the performance is fast and snappy, even the gaming performance is good with Adreno 506. There is no heating issue even with intensive gaming. Software: The phone comes with the latest Android Nougat with stock android. Camera : The rear camera comes with 12MP and 5 MP front, both take good pictures indoor and outdoor. Comes with dual tone flash both front and back. Dual Sim: It’s a proper dual sim phone with dedicated micro SD card slot. Storage: Comes with 64GB internal storage and expandable storage upto 256 GB. Battery : The 3000 mAh battery lasts for a day with heavy usage, also comes with fast charger that can charge the phone within 90 minutes. Price: A bit expensive for a phone with features like this. Mods: The best feature about this phone is you can buy the mods and attach it to this. But it is very expensive the cheapest one i.e the JBL speaker costs about Rs 5000. Build Quality: One of the sleekest and best looking phone under Rs 30000, The back looks very premium with metal build. Even though it is a 5.5 inch phone, the OnePlus 3T fits perfectly in the hand. Display: The 5.5 inch screen with AMOLED display is truly an eye catcher, the colour reproduction is stunning. Although the brightness of the screen could have been a little higher, especially in bright sunlight. We think it’s the second best display in the market today – after the Samsung Galaxy S7 series of phones. Fingerprint sensor: The fingerprint sensor is placed in the front of the phone, this button also acts as the home button. The fingerprint sensor is quick and one of the fastest finger print scanners in the market today. It also has the ‘always-on’ feature so even when the phone is ‘sleeping’ you can use the fingerprint scanner to unlock it. Feature: The notification slider on the left is also one of the best features in the phone, it allows you to switch between all notifications, priority notifications and do not disturb (silent). Speakers: Speakers are placed at the bottom of the phone and the sound is clear and audible enough. Software : The phone runs on Android 6.0 Marshmallow with Oxygen OS user interface. This lets you to customise on gestures like if you draw a O on the screen the camera app opens and double tap on the screen to wake up the phone. 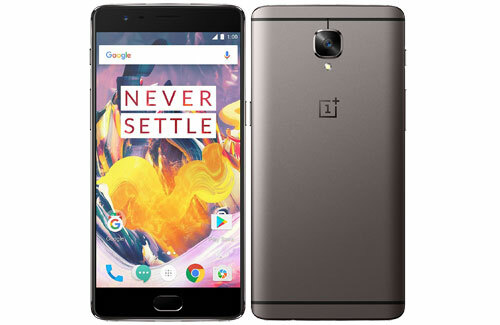 Processor: The OnePlus 3 comes with the Snapdragon 821 processor with Adreno 530 graphics and performance-wise the phone is top-notch. It’s comparable or probably even better than the OnePlus 3 when it comes to smoothness of the interface, giving you a completely lagfree experience. The 6GB RAM out of which 4.3 GB is available is probably an over-kill. You don’t see 6GB of RAM, but for those who like using their devices for 2-3 years, the OnePlus 3T is future-proof. You should get lag free performance even with future Android updates. Gaming wise, it can play any games you throw at it. High end games can be played without any loss of frame rates. There is no major heating issue either. Battery: The phone comes with a 3300 mAh battery. In today’s times, when a lot of people look at the ‘sleekness’ of phones, OnePlus opted to make their third phone as sleek as they possibly could. The phone battery lasted for a day with moderate usage. However it does come with a dash charger meaning it charges relatively fast without heating the phone. You can charge your phone from 0 to 100% in less than 75 minutes (1 hour 15 minutes). Camera: OnePlus has packed the phone with a good camera too. The pictures come out good in outdoor conditions. The colours are accurate and we quite liked the white balance in photos too. In low lighting condition, the photos are still good, but could have been better. Storage: 64GB internal storage is more than sufficient to store files. Feature: Supports NFC and USB on to go. Availability: Only available on Amazon.in, you cannot buy in any retail shop or other e-commerce websites. Display: It sports a 5.7 inch super AMOLED Full HD display with 386 ppi, quality wise there is no comparison with other phones. Since it is a super AMOLED display the colours are top notch. The viewing angles are also good. Build Quality: It comes in a full metallic body, looks very stylish and sleek, even with 5.7 inch display it doesn’t feel too uncomfortable to use. Processor: Runs on Snapdragon 626 with 4GB RAM, performance is mostly lag free and smooth. The gaming performance with Adreno 506 is good as well. The phone doesn’t heat up even after excessive gaming. Software: Runs on Android Marshmallow but might get the updates soon. Battery: The 3300 mAH battery can last for about a day with minimum usage also supports fast charger which can charge the phone from 0 to 100 percent in less than 90 minutes. Speaker: The phone comes in single speaker which produces good sound, you also get to adjust the bass and surrounding. Features: It does support NFC , but doesn’t support Samsung pay which is one of the biggest disadvantage. It also comes with screen on option which displays the time and notification, it doesn’t consume much battery. Sim type: It is a hybrid sim device, thats a disappointment as you won’t be able to use both sim and Micro SD card together. Camera: Samsung known for their cameras, turned out to a big disappointment with this phone. The optical image stabilisation is not present in the phone and hence the videos taken come out very shaky. The photos taken in indoors and outdoors come out very blurry. is it good idea to buy htc u play????????? Where is Sony xperia xA ultra gone….. I m confused to take s6 eadge and 1+3 which one to buy? Both company doesn’t have service center in uttarakhand but Mi is providing pick up service in Uttarakhand while one plus doesn’t. Guys plz suggest me whether I shouldn’t go with onePlus3 or Zenfone3. I am a photogenic and am damn sure zenfone3 camera is awesome at the same time onePlus3 is eye-catching. Am really very confused between these devices. Pls suggest me. @Tamilvanan :OnePlus 3 is a good option. Zenfone 3 is good as well but Oneplus 3 is a value for money phone. plz suggest between one plus 3 and moto x style and why? What is the best dual sim phone???? Hi, I’m confused between Samsung a7 2016 and one plus3. Don’t know which to buy. A7 looks good and has brand value whereas spec wise one plus 3 is unmatched. Please tell me which is a better option. Ps:my only concern about op3 is that it’s Chinese. Hence will problems pop up in the future? 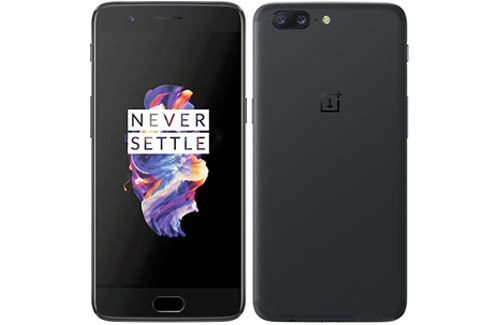 @ Jithu: Phone performance wise OnePLus 3 is good option, but if not looking for a Chinese brand then we suggest you go for Samsung Galaxy A7 2016.
dEAR FRIEND PLEASEhelp to decide btwn galaxy note 4 or OP3 ??? @ Gill: Oneplus 3 is good option. It is the latest phone with 6GB RAM, has no heating issue and takes good pictures. I am confused can you please help me out.. HTCx9, sony XA nexus 5X..i am not interested in chinese brands pls suggest which phone to buy..
What about xperia xa ultra and z3 plus? @ Wendy : Have been using Oneplus 3 as my secondary phone and to be honest it is one of the best phones under Rs 30000. The only negative would be it heats up a bit after continuos use and the battery drains a little faster than other phones but with dash charger I don’t think that sgould be a n issue as it charges within 1 hour. I want a business class device which has a brand value and can be trusted for 3 years and is vivid in display and doesn’t cause problems..Gaming is not what i need..
Around 30k I loved oneplus 3 but I would like to have quad HD and Hi res audio also!! Please suggest me around that price range..
@Hari Naitham: You can go for Nexus 6P, it comes with Quad HD screen and audio is decent. It costs around Rs 37000. But we would still recommend you to buy Oneplus 3 as it comes with Amoled display and has also got the best speakers. yeah thankyou! i would love to buy OP3 when it comes to price value.. and is there any RAM or BATTERY life issue?? because i’m a heavy user. how many hours i can use it continuously with 3G connectivity..or heavy gaming. HI… How is gionee M5 which is for 24k i guess? Should i go for Gionee M5 or 1+3???? @ Harshal Gadda : Oneplus 3 is a better phone, you can also have a look at Xiaomi Mi 5 for Rs 24000. @ Karan : If you budget is around 30 k then for for Oneplus 3. 4. Or You May Recommend Anyother. Regarding One plus Three, i am also concerned of after sale service i.e. Service Centre Availability. Whats the actual price of s6 edge plus? what about s6 edge plus. and what is the actual price of it?? @ Pratik: Wait for Oneplus 3, it is a better phone than Le Max 2. @ Sanjay: Why don’t you have a look at Oneplus 3, it’s good for gaming and also takes good pictures. @ Abhishek: Both the phones run on Adreno 510 GPU, this chipset has some issues with heavy gaming. The phone does lag while playing N.O.V.A 3 and Asphalt 8. However you can have a look at Mot g4 plus it does have some heating issues but can play any kinda game without any lag. my budget is 30000 thousand & i need a long term (miss i have not change mobile next 2-3 years) mobile. 7- branded company value mobile. 8- best service after buy mobile. 12- ruff & tuff use mobile & more. i know that one plus 3 is good but brand value problem becoz is an a china mobile. @Sam : Have a look at Samsung Galaxy A7 2016 for Rs 29000.
htc one me is good? @buying tips, you did not advise anything about Lenovo VIVE X3! Please tell me which is better between VIVE X3 and ASUS Zenfone 3? Similarly at around Rs 30000, which is better between Samsung Galaxy C7 and ASUS Zenfone 3 Deluxe? @ Aditya: It isn’t too big or heavy. It fits perfectly for medium sized person. Oneplus 3 is one of the best phones under RS 30000. We agree it is a bit difficult to tyoe in one hand but other than that the phone is great. @buying tips, where are you not answering my question? @ Rocky 77 : We would recommend you to wait for C7 as the specs look great but need to see on how it performs. So wait for the phone. I heard that oneplus 3 heats up when left in the pocket unused as the finger print scanners scans every time it comes in contact with something. Will this be a serious problem? @ Jef: We have been using Oneplus as Primary phone.. we haven’t faced any such problems. that’S why till now iam preferring samsung galaxy a7 2016…is that good?? @ Deepak: Yes it’s good. 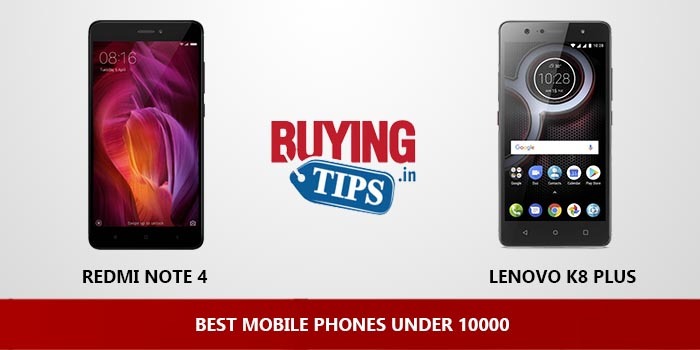 @buyingtips__ i love the phone one plus 3…but wat abt the brand reach. what if i need service care for same?? I need a backup phone for work. Primary uses are calls, texting, basic Internet and emails. My budget is ₹25k. I already own an iPhone 6s which I use for personal use. I was looking at the HTC M9+, HTC One X9 and Samsung A5 (2016). I read about the Sony Xperia Z3+ and its heating issues. I am not interested in the Oneplus range as I don’t live in the cities so after sales would be a problem. Please help!!! Sir, balance is not my problem. I can buy a 20k phone or a 30k phone, but what I expect is real value for money. I have 2 options in my mind. One is Lenovo Vibe X3 at 20k. I think it is unbeatable at its price. The second one is Samsung C7 at around 27k which is not released. Its specs are hi-fi. Are both my choices wrong? Which is the better one between them? Please suggest any other if you like. Can I have your email for further smartphone related queries? nexusp and one plus 3 which is the best ? Oneplus 3 or upcoming samsung galaxy C7 ??? So confused !!! Help !!! @ Nisheet: Specs wise both the phones are good. Oneplus 3 as of now is great phone with 6GB RAM and 64GB internal storage. 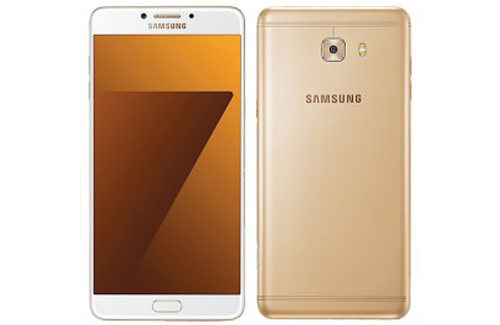 However just wait for Samsung Galaxy C7 it will be available in August. I thinking to buy samsung galaxy note 4..what do u say? My parents are not allowing me to buy any china company..so i only have samsung..
Well can u suggest something under 35k and only samsung..
@ Aaryan: Since your budget is 30K , why don’t you go fro Oneplus 3 priced at Rs 28000. We have been using it as primary phone and it is one of the best phones available in the market. Great performance with 6GB RAM, Good camera and the accessories are easily available as well. Do check out our review and let us know if you have any doubts. I think to buy Oppo F1 Plus.. What is your opinion..? I am thinking of Sony Xperia XA Ultra,wht’s ur sgetion??? @ Karan: OnePlus 3 is one of the best phones under Rs 30000. With 6GB and Snapdragon processor the phone can handle any game you throw at it. @Karan: Oneplus 3 has got the best camera, that is what we feel. Iam confusing for buying mobile under 30 k is it better mi5 or one plus 3 ..ehich one is better in terms of camera, battery, perfomance , and heating , slim . I own a Note 4 Currently , I want to change to something else. My Budge is under 30K, and require faster phone and good quality camera. hey bro..I am planning to buy note 4 because of its awesome specs…can u plz tell me how does it works? is it good to buy it? and i can’t buy any china phone…like one plus,mi etc..
well I think u should buy oneplus 3…It’s awesome for you.. I am looking for phone under 30k with good gaming performance, heavy multi tasking and decent looks too. Should i wait oneplus 3 (6gb ram version) or mi 5? I even heard that moto x is coming this month. Please suggest me. 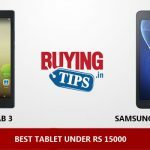 @ Sagar : Increase your budget a bit by Rs 5000 and you can buy Nexus 6P for Rs 35000. It’s a very good phone with 3GB RAM, good camera and good battery life. If you are in no hurry to buy then wait for One Plus 3. Hello I am Using Samsung S6 now phone dead…. MI5 , Oneplus 3 , Samsung A7 2016. @Arjun : OnePlus 3 is a good phone. @ Sanu: Xiaomi Mi5 is a better phone. hi..which is best mobile among these moto x play,samsung galaxy a7 2016,samsung galaxy a5 2016, vivo v3 max, oppo f1 plus, nexus 5x ,lenovo vibe x3.. suggest some best featurable mobile among these.otherwise suggest any other mobile around 25-30k??? @Mj : Lenovo Vibe X3 priced at Rs 20000 is a very good phone, if not you can also go for Honor 7 priced at Rs 24000. Hi, htc one me, moto x style, nexus 6p. Ive shortlisted these 3. Im looking for a good display, battery,finish,compact(<5.5 inch screen),robust functioning mobile. I zeroed in htc. Whats ur opinion for a budget of 30k? Is galaxy note 4 a good choice..?? Is it too old to buy now?? @ Aaradhya : Galaxy Note 4 is an outdated phone, Instead you can go Samsung Galaxy S6 Edge. Can you suggest me the best camera phone and performance under 30k. Iphone 6 or s6 edge?? @Pushpam: S6 Edge is a better phone. @ Vikas: We haven’t tested Oppo F1 Plus, so can’t comment on the phone. But Oneplus 2 is a good phone. You can even have a look at Xiaomi Mi5. Please suggest a good smartphone with great battery life and a good camera. What is your opinion on Redmi note 3 32gb? @ Deepak : Mi5 is a better phone. Sir, I am confused. 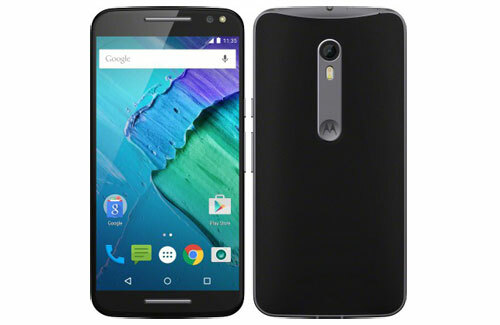 I think moto x style is good for my budget but i never used a moto phone before so pretty doubtful. I want atleast 32GB internal ,a decent camera , 3GB ram and Fingerprint sensor. Please help me! Is samsung S6 a good choice? Hello there… Best and fast android app functioning with a very good internet performance is what is required.. Gaming- not a concern.. camera ofcourse must be a hit.. Can u suggest?? Hello… the range is 25000, i need a phone with best funtioning in android apps and m a very frequent internet surfer…… camera shud also be good… gaming- not a concern..
I’m using one plus two and I’m planning to upgrade it into iPhone 6. Is iOS better than Android ? i want buy f1plus do u think. it s a beter for me. ya not? i want to buy a feature phone under 30000 which is best in all aspects. Plz tell me a suitable smartphone. I am thinking of buying galaxy A8.can you tell any major cons in it or any better alternative for it at same price.pls tell if it hangs like other samsung products? Plz suggest me a phone. hi.is sony xperia m5 dual a good phone? I want to buy a phone. With 5inch screen, good camera, with good battery and excellent after sales service. Please suggest. My budget is 25k. I want to buy a phone in 25k. I am moderate user. I want 5 inch screen with good battery and good display. with excellent after sales service. Please suggest. @ Dr Piyu: Moto X Style priced at Rs 29000 is one the best phones available under Rs 30000, however it doesn’t come with finger print sensor. If you can wait for a while we would be testing the latest Samsung Galaxy A5 (2016) priced at Rs 29000 with almost all the features. Once we test it, we will let you know about the phone. Is moto X style available in 32/64 internal memory…. I’m looking for a phone that has good battery life, premium feel and display small enough for a single hand use. Would prefer stock android UI. @Sam: What is your budget? Hi,the feature that sony experia z2..support..is nice N cool .but some told me that there is many problem with this phone..so could you please suggest me ..the right things about this phone in order to clear my doubt about the controversies so that i would not B disappointed after buying this . @Elvis : Sony Xperia Z2 has got some heating issues, after intensive gaming the phone tends to heat up. It’s also an outdated phone, So I suggest you have a look at Samsung Galaxy A8 and Moto X Play Style. Both are within 30000 Rs. They are much better phones then Sony Xperia Z2. Can u please suggest a smartphone under 30,000. I have shortlisted HTC E9, HTC 826W, Iphone 5S, Moto X Play, Moto X Style. OR should I wait some more for Iphone 6 for getting its price to come down to 38000. Or if you want to suggest some other phone. @sachin : Among all the phones that you have shortlisted, we like Moto X Style the most. The phone comes in 5.7 inch QHD display, No heating issues, good for gaming, decent camera. Overall a great phone to buy. The only issue would be that it weighs 180 grams and the phone is big for one-handed usage. @salman : Motorola has just launched its flagship device called X Style and according to us it’s the best phone to buy under Rs 30k. If you can find the Samsung A8 under 30000, then you can go for it.